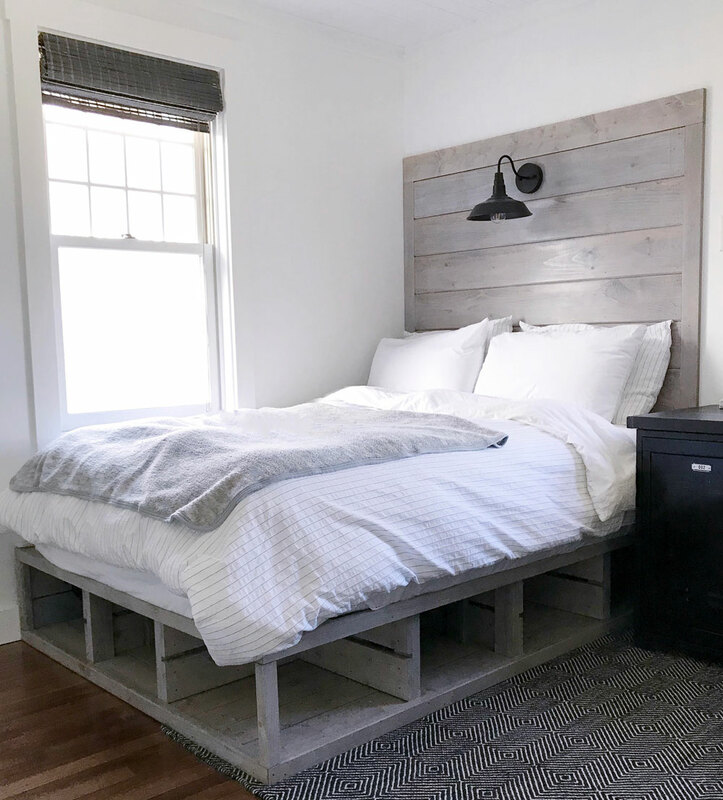 This beautiful storage bed and headboard set has rustic farmhouse feel. 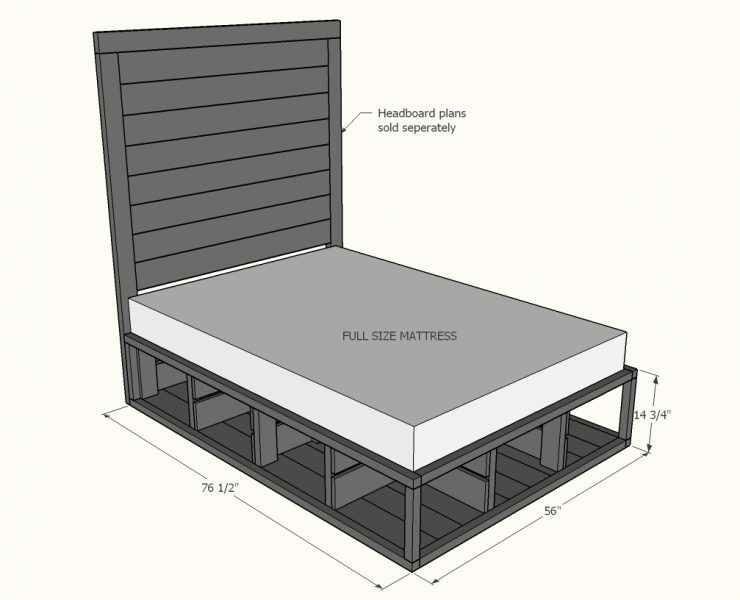 The bed has tons of storage. The headboard has a built in light. Stain it to any color to match your home’s decor. 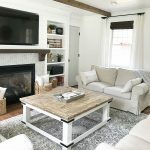 Easy to build with just a saw, brad nailer and drill – no pocket holes required! 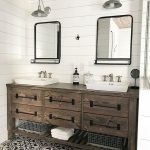 No plywood – just cut and nail or screw together boards! Currently available in full size and twin size only. Other sizes available upon request. I need this for a king sized bed. Could this be converted to a twin size bed? I will work on a twin version for you! Twin size is now available! I would love this in twin size, no headboard! Pretty please! Of course! Hopefully have this done in the next few days for you! If it is possible I would love the plans for a twin size bed it would be perfect for my 2 boys! 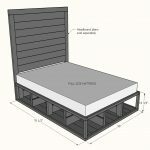 Any chance there’s a queen size version of the base (no headboard)? Thanks!! Queen size will be available soon. The headboard is separate and the plans for the headboard are free so you can just disregard the headboard if you don’t want it. 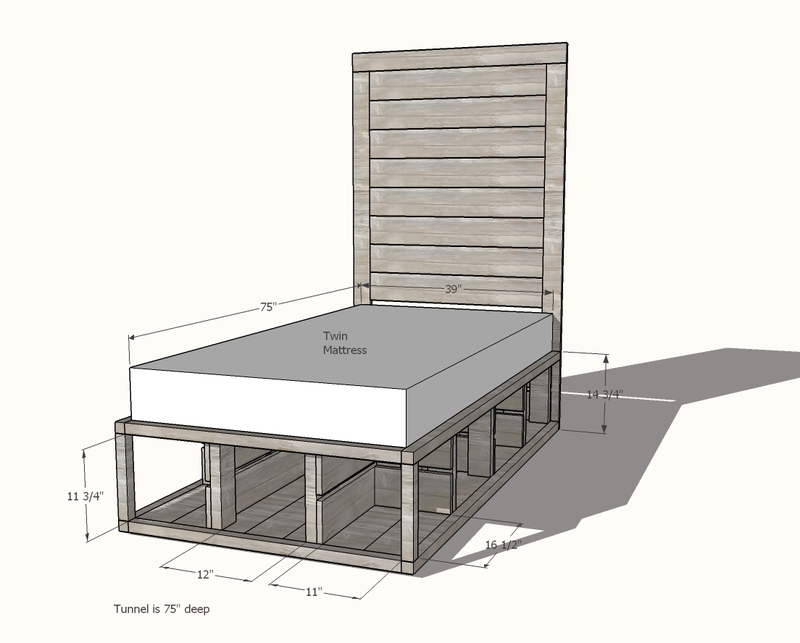 The twin size plans are now available. I’m super happy with how the plans worked out. If you build it, please share, so excited to see it done! Twin plans are up! Thanks so much for the request! 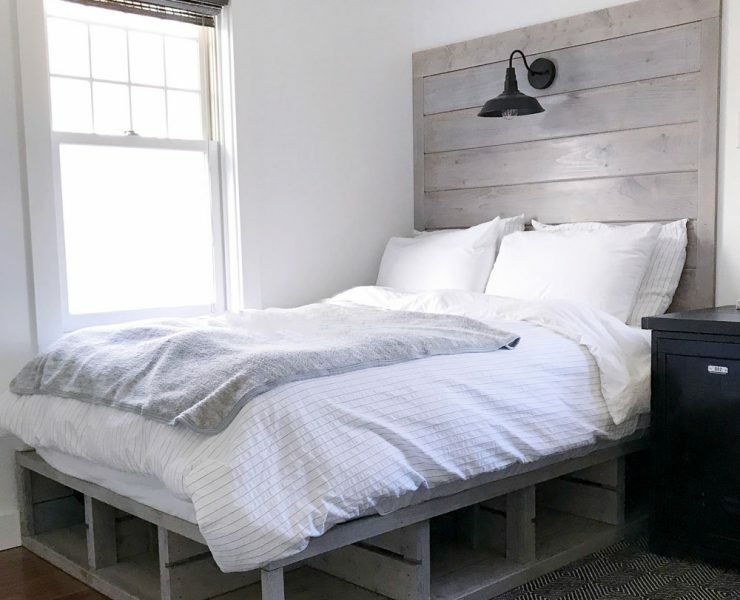 I have been looking for something like this in Queen Size but taking the headboard up almost all the way to the ceiling. Is there a queen size plan available? Queen size will be available soon. 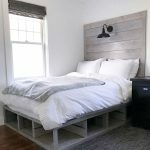 I think you’ll find the headboard is very easy to adapt to whatever height you choose. Love this! Would really love optional drawer plans for the side cubbies! Would you be able to make a king size plan? Hopefully have the queen size plans available soon! 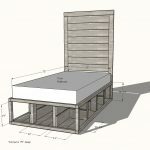 Any update on the queen size bed plans? Thanks.